What is it about Edens Garden? Why did many other guests visit Edens Garden before? 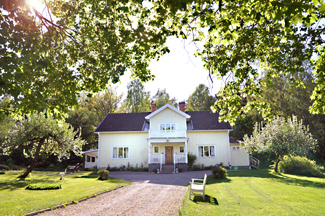 Our 3-star accommodations are rated by “Nature’s Best“ which is a quality label by the Swedish Board for Eco-tourism and Edens Garden is also rated by Swedish Welcome. …..”Edens Garden is a unique place to relax completely, totally away from the complex world“…..
A high standard manor-farm, based on self catering “The Farm” (up to 8 persons). And of course exiting outdoor activities during the autumn and winter !! !